I kid you not: There is nothing like attending the best lecture center. It all goes down to the result you want for yourself. Today, I am going to show you the 7 best tutorial center in Benin City, Edo State. If you are searching for the best and standard lecture house in Benin, then we have carefully selected the best out of the hundreds of lecture centers you will find in Benin City. Guess what! You don't have to worry about outdated content because the list i am about to show you is exactly the best among odds- 2019 updated. Why should you care about the best? Well, let me ask you this. Which would you prefer? Spending more to get the best result once, or spending less to get the right result just after trying for so many times? I am sure you would prefer getting the right result once! If not, then there is something wrong. Good news! In this list of the most standard lecture center in Benin City is not just the best, but their fees as well cost to nothing. The essence of this post is not just showing you the most standard tutorial center in Benin City, but to give you some secret of what the best lectures centers in Benin( Edo state) do, and why it's noteworthy to attend the best lecture house in Benin. In order to attract you more here is what i mean; Have you ever wished of scoring 300+ in jamb even though you are just an average learner in less down 2 months of preparation. Well, i have got your attention now. Scoring 300+ in jamb isn't rocket science, you don't have to be the most intelligent. As a matter of fact, from what we have seen since 2017-2019, scoring high in jamb is not all about intelligence but efficiency and smartness. I should let you know this before we go down to business. The Joint admission and matriculation board examination went below our expectation in the year 2019. I can bet you this, just reading alone at home will not do you much good because jamb is increasingly becoming intricate. This is why you need to attend the best lecture center in Benin city that likewise suits your pocket and ensures you make it once. 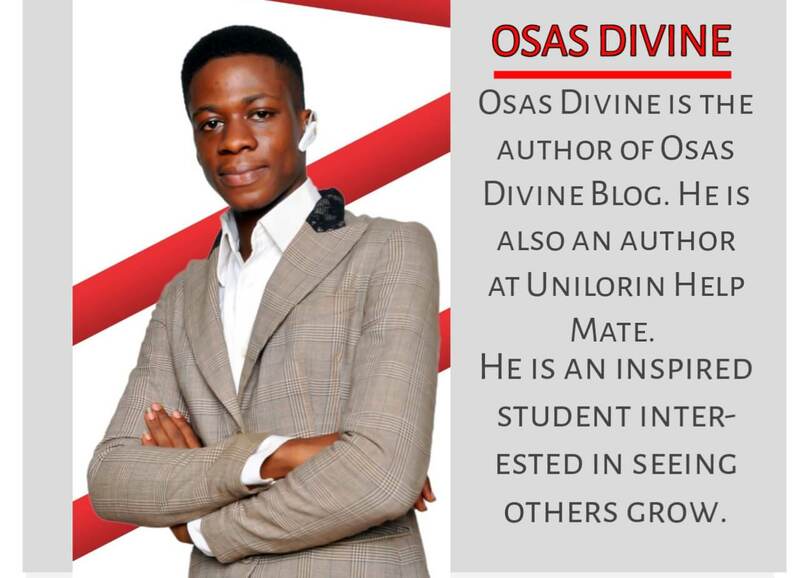 PS: Osas divine blog has no connection with either of these lecture houses in Benin. Neither have we been paid to put these listing online. You will find tons of lectures centers in Benin but a higher percentage of these are not advisable for anyone. Most of these centers are just a place to while away time and we won't be mentioning these centers. But we have selected the best 7 with a welcoming learning environment. As they say, action speaks louder than words. These centers in our list have made the best name for themselves based on past students performances and current standing performance. Yes, we need the best. But we have seen cases of centers who top their fees just to look like the best. Notwithstanding, there is this belief in Nigeria that cheap things are not the best. In the sense of economic grounds, these centers surpassed our expectations by providing the best lecture for students for a pocket-friendly fee. The rest of the factors are kept with our experts who have been through a thorough review to opt out the best and most standard lecture centers in Edo state. Factors not Included in our ranking listing. To think that something is best because it's popular is a logical fallacy. Arguing that an idea or service has merit because it has popular support is one of the oldest argument tactics around. It’s also one of the most flawed. Sometimes the best can rise to the top, but popularity and quality are two different things. In Benin City, What lecture houses do is, spend money to get a name for themselves not as if they have anything substantial to hold. They spend money on radio and T.v advertising stations, made graphics designs and others just to draw attention. It's time to pay attention to quality, not popularity. Hey, everyone wants the cheapest, and most of the populated centers have cheap fees that attract more students. But i have said this before and i would say it over and over. Go to the best center and make your exam once. We will not rank this listing base on population. Jamb is not a subject of a joke or a tryout. Why these listing may not be best for you. Distance is a factor that should be considered while choosing a lecture center. So while picking among these, consider location and ease of transportation. Personal interest plays a huge role too. Not all environment suits everyone; so go around and see which is best. Now let's get down to the list. 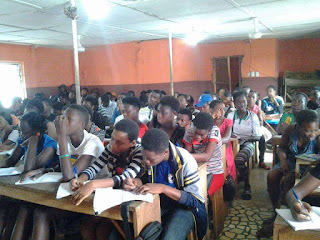 Among every one of the tutorial center in the whole of Benin City interviewed and reviewed by our team, it's fair to infer that Gifted Hands science tutorial is the best Tutorial center in Benin City for Jamb lectures as of 2019. Albeit, Gifted Hands just came to existence not sufficiently long to look into their past achievements. But, for a couple of years spent, Gifted hands have proven to be the best and most genuine Jamb Center in Benin that every parent and jambites will find ultimate performance. As at 2018/2019, We were awed with their execution. We are comfortable to prescribe them to you since they meet every one of the necessities from the best lecture house in Benin. 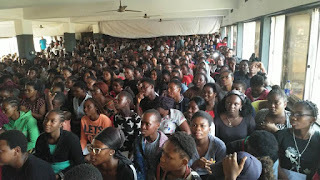 We met such a significant number of jambites centers from various locations, we partook in their lecture classes without the tutor's notice, from the beginning of the session till the end. Furthermore, Gifted Hands have the best tutors in the centers we have found in the whole of Edo State. Gifted hands Science Tutorials is that which on the off chance a student is very poor academically, he/she will conclusively improve over a month. Their lecture hours outperformed others. To demonstrate how genuine they are; their lecture hours is around 7-8 hours per day. All things being equal, Gifted Hands is great in their field. Their lecture environment is as well sensational. Among the past students who wrote jamb in Benin City that was interviewed by our team. They were all in favor of Gifted hands science tutorials as the best in Benin. Gifted Hands science tutorial made a distinction in their recent exams and they have shown us the difference between quality and standard lectures and those who are just show off. Gifted Hands Lecture organizes follow up classes and continuous assessment tests for her students occasionally ensuring that the new students are carried along. Why Gifted Hands Science tutorial may not get by in our first top positioning List in Benin City. There is every possibility that this ranking may get switched with time. Our team is only pleased to give real data and not assumed facts as we have no connections with any of these centers. Gifted Hands science tutorial actually gained our attention for their science lectures however with regards to social science and art lectures forget them for now. Though, from what we have seen they are ready to introduce lectures for commercial and art students. But, they just started with their area of expertise. Be that as it may, they make number one since they are the best in science. Our research team will keep on checking if there is any improvement in the other centers that we may consider to be the best tutorial center in Benin City also. In other words, our number two and three spots in this list as well fit the first position but we have seen some downgrades in their performance. We didn't compile this list base on our opinion alone or our own research, but we also took data from students. And most students were displeased by the recent performance of other tutorial centers. As we earlier said, we are not to rank any center base on prominence, population or past glories. We are keen on the best center that has a quality tutorial paying little respect to past results or prominence and Gifted Hands made our Top rundown in 2019. Look who made it here. Could you have imagined that Boiling Point tutorial is the second best tutorial center in Benin, not just for jamb but likewise other external examinations? Boiling Point tutorial has actually been rising and falling, yet we have seen a great deal of improvement recently after their relocation to a more conducive environment for learning. We saw a quality performance in their teaching systems which outranks others. Boiling tutors do not simply teach and get pay. Their tutors who are experts with Ph.D. degrees and all types of qualifications truly impact the students. These tutors composed the Textbooks that are utilized by just about a higher percentage of the tutorial centers in Benin. There are lots of lecture houses in Edo state that are additionally great to an extent, yet Boiling point does it better. Their teaching measures are extremely satisfactory and we are satisfied to state that, Boiling point is the second best tutorial center in Benin City as of 2019. ADDRESS: Ugbowo Rd opposite Uniben, Benin City. Everyone would have thought Gorilla brain is the best Lecture house in Benin, base on how popular they have become over the years. Gorilla brain is likewise a great center, but base on our research we discovered that they are more into showing off than the service they actually provide. Yes, this list would be incomplete without having to talk about Gorilla brain, in fact, G.brain would have made our first list. Flashback to 2016/2017. Gorilla brain A.k.a Test house tutorial was the trending center. The went as far as advertising themselves on media channels and everyone was running into Gorilla Brain. Those are past glories, fast forward to 2019 Gorilla brain that was actually rumored as the best made below our expectation. They are still good and sound in lecture though. 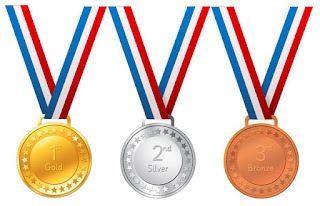 But the third position is where we can rank them base on 2019 trends. We really don't know why the giant company is lagging behind. But we are expecting them to improve and regain back their lost glories. Let's stroll to the other part of the city. Have you heard of A1 Lectures? If you haven't then something is wrong. Who doesn't know of A1 lectures? They are super good in all aspects. During our interview, the present real data for us, and their fees are very considerable. If your dream is 250+, you can achieve it in A1-Lecture. At first, we were not imagining that they would even make our top 7. But after our in-depth interview at A-lectures, our team were flabbergasted with their well-organized principles. A1-Lecture is also great in O'level examinations. 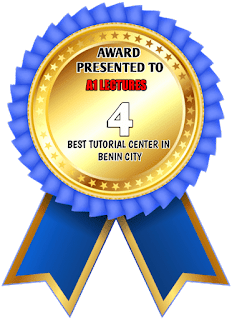 They are the fourth best Tutorial center in Benin. ADDRESS: 31 country home motel road opp. Christ Embassy, Benin City. Hallmark Lectures is the Fifth Best Tutorial center in Benin City as of 2019. Have you ever been to a center where you're served Fried Rice and Chicken, and a sit for you to sit under air condition during lectures? Well, go to Hallmark and you will find something similar. Don't get me wrong. I am only saying HallMark is best to some extent, but not for all class of students. Hallmark lecture is that place where the students are United by series of activities even outside education. As the old saying goes; All work but no play makes Jack a dull boy. If that phrase still makes sense to you, then think of HallMark as a good fit. 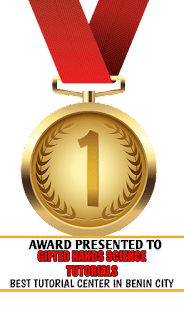 Premier Lectures is proudly the Sixth Best Lecture house in Benin. Are you searching for a standard lecture Center in Benin City? Then Premier Lecture will satisfy you as they have the most affordable fee. Base on your location, we have included Premier in our Top 7, although we are still gathering more data about them. But currently, we recommend them if you have less to pay for a lecture fee while looking the best. But base on the superior standard lectures Premier falls under number 6 in our List. Lecture Fee: Cost to Nothing. Solid Lecture may be the 7th Best lecture Center in Edo state, 2019. But we reserve any information about them for now. They have got our attention but our team is still reviewing this center. As there is no other tutorial center in Benin that fit our Top 7, we have decided to put Solid lectures until we have gotten more real live data. If you made our Top 7, Congratulations! Keep up the good work and please do not manipulate students with vain words to attend your centers all because of Money, Integrity and service matters. 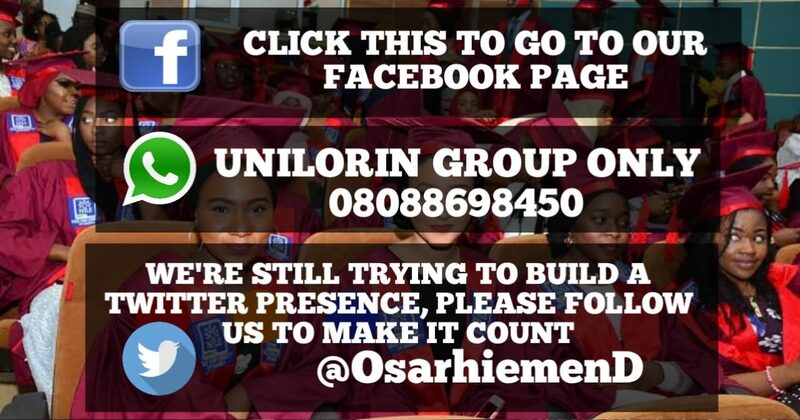 If you have a lecture house in Benin that you feel is productive for students, Let's us help the world know you. Submit a detail and address of your center and our team will do a review if it worth our Top 7, we will update this list from time to time.